Honey bee beekeeping is a great part of self reliance and provides you with fantastic fresh, raw honey. 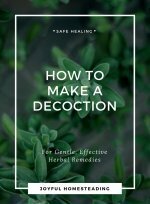 Learn beekeeping basics and you'll have your own source of nutrition and even healing. Having a hive or two not only provides a nourishing food packed with health benefits, but bees also provide excellent pollination for your garden and orchard. Think far more abundant harvest year after year. 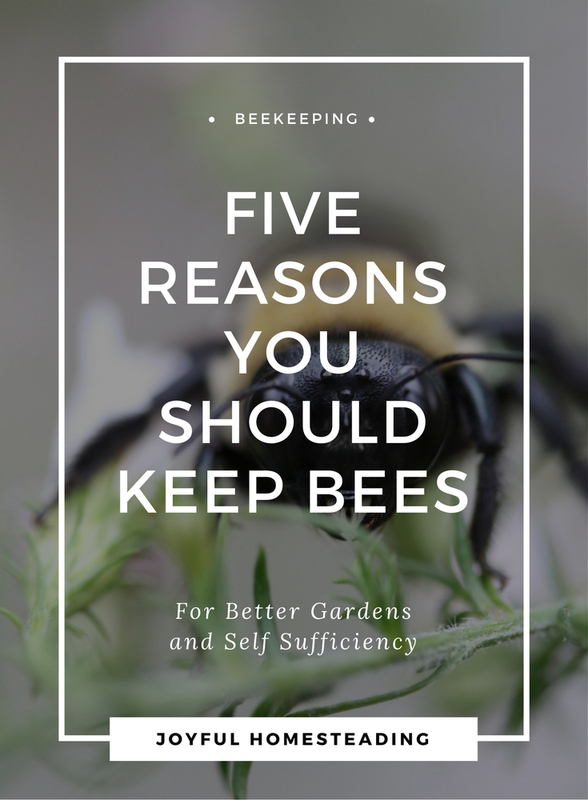 Sorry for the pun, but just like caring for any other critter on your homestead, the amount of information you will need to know about honey bee beekeeping would fill an entire website by itself. 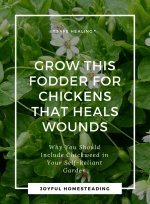 But hopefully these few pages will give you an idea of what beekeeping entails and point you in the right direction should you want more information on becoming a homestead beekeeper. Naturally, that’s the main reason a homestead beekeeper keeps bees. If you’ve never had fresh, raw honey, you have no idea of the treat that's in store for you with honey bee beekeeping. Honey you buy at the store has usually been processed, until it's nothing but sugar and no nutrients. But raw honey is different, with a ton of health benefits, from giving you natural energy to helping with allergies. Honey bee beekeeping means more pollination and a far more productive garden. Bees are fascinating little insects that stick together like…well…honey. They work together as a whole, and each bee has its own role – and place – in society. Learning about them – and working with them – can be addictive. Learn to catch swarms and you can earn an income getting bees out of people's homes and into hives where they belong. You can also sell the extra honey for income. By keeping bees, you ensure the honeybees survive, providing valuable pollination so there is enough food for all. Plus by keeping good honeybees, you are preventing killer bees from taking over. As any homestead beekeeper knows, work with bees long enough and you will get stung, sometimes more than once if you make your little colony mad. It might be wise to keep an anaphylactic kit on hand in case you or someone you know has a severe reaction to a bee sting (or several). Also, not everyone is thrilled at the prospect of a colony of bees nearby. If someone in your family has an excessive fear of bugs, keeping a bee hive might not be wise. You should let your neighbors know you are keeping bees, especially if you live in the city. Occasional gifts of honey will hopefully warm them to the idea of the little buzzers. If you are within city limits, you will also need to check your city ordinance to find out what laws – if any – apply to beekeeping in the suburbs. You will have to find a good location so your bees won't be bothersome to others. And finally, be aware that your hive will need some time and attention. Expect to devote approximately 40 hours per colony each season to your bee hive. 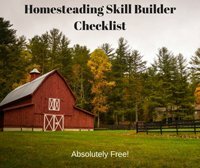 And finally, you will need time to be a homestead beekeeper. Bee prepared! (Last pun, I promise!) Bee keeping can be a time-consuming hobby. You must be interactive with your bees. Check your hive at least once a week and keep a log of what you observe. That way you will learn what's normal for your bees and when they need special attention, such as medication for mites. Want to learn how to stop the progression of Africanized or "killer" bees? Become a beekeeper. Learn how. A beekeeper can make money selling honey as well as a self-reliant source of food. Here are other ways you can earn income off your land. Bees are not only a way to a far improved homesteading garden, they are also industrious, highly organized insects. 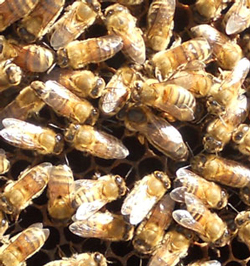 Learn about the different members of the bee colony. Without the right equipment, beekeeping can be an extremely unpleasant task. 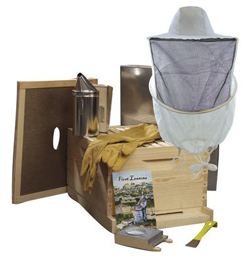 Here is a list of the important beekeeping equipment you need to get started. The right location for your bees is as important as the equipment you have on hand. Here are some tips on finding the right location for your colony of bees. Once you are an experienced homesteading beekeeper, you might want to increase your bee population by catching swarms. Here's how. Do you think you're ready to start beekeeping, but you don't know where to begin? 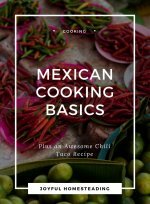 Here are some tips on getting started. Is spring around the corner? These beekeeping basics will ensure your bees will survive the end of winter and produce plenty of honey for your bees this spring and summer. Read more. To keep bees, you need the right housing to keep them happy and healthy. Learn more. Colony collapse disorder is a serious problem, causing hundreds of thousands of bees each year to simply vanish. Fortunately, we homesteaders can ensure bees will survive for years to come. Learn more. Learn a low-cost way of building your own hive for in-comb honey. Learn more. Bees normally will do just fine in the winter, but a little extra help on your part will ensure a strong, healthy hive. Read more.